Overview of O-Week: Sunday & Monday! Picture yourself on August 31st: Your orientation week is almost over. Classes are coming. Learning is imminent. But the fun doesn’t stop just because it’s the weekend. Check out some of the great programming we have going on for an amazing weekend downtown. Who can say no to free breakfast? Come on down to Pitman Quad for a delicious breakfast that’ll kick start your day the right way. RU Eats is sponsoring and providing some delicious brunch for us, so make sure you get down to Pitman Quad for those delicious noms. You’ve had a jam packed week full of incredible adventures. Have you even had a chance to check out the amazing city you’ll be going to school in for the next few years? If you haven’t, make sure you grab your camera, a couple of friends, and participate in our Capture Toronto event – a photo scavenger hunt that takes you around Toronto and welcomes you to the city. Note: activewear is suggested. Get together with your floor or ROC group and have an evening out on the town by grabbing dinner together. Your residence advisor or group leader will communicate with you about which restaurant you’re going to, so bring some cash and bond with your floor or group! B-I-N-G-O and Bingo is the name of the game we’ll be playing. But it’s Bingo with a twist. Come ready to play bingo, and stay for a drag show – performed by one of Toronto’s finest drag queens – which you are invited to participate in. This event may be eye-opening at times, but really we hope it opens your mind! Haven’t had a chance to explore the campus as much as you’d like to yet? Nervous about where your classes might be? Have no fear – your Academic Links are here! They’ll be running specialized tours for you. Stay tuned to Ryerson Rez’s social media for more information closer to the event to find out when your Academic Link will be running campus tours or drop in office hours to ask them any burning questions you may have. 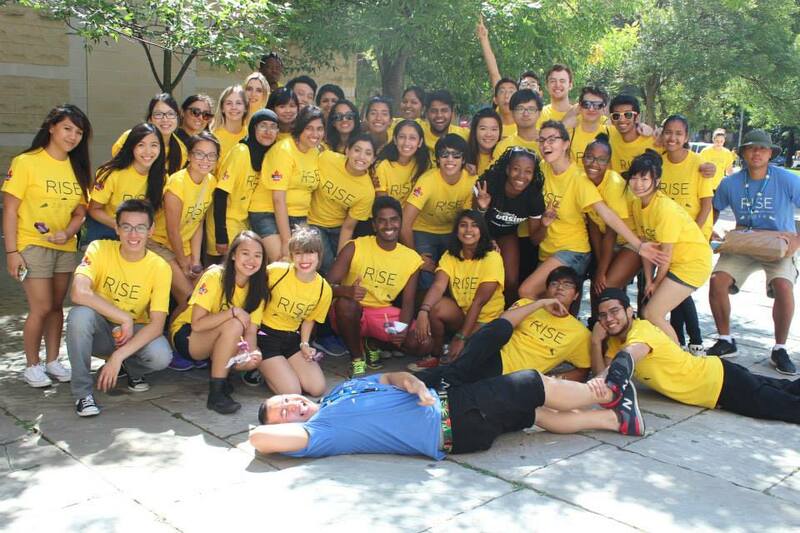 Are you interested in learning more about leadership opportunities in residence? Here’s your chance: come to PIT 200 and hear Residence Council President, Sarah Keith, tell you about why and how you should get involved in Residence Council this year! What better way to finish off Orientation Week than with a closing ceremony that will leave you in stitches? We’ve invited a special speaker to come and discuss your transition to university. We promise it will leave you full of laughter and ready to conquer your school year!